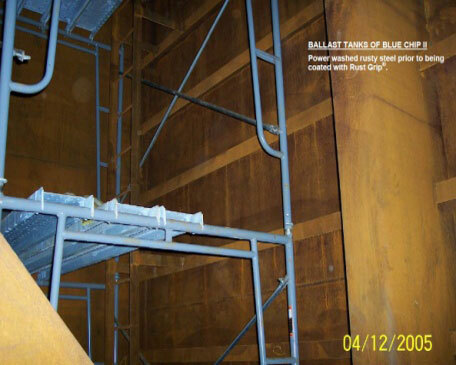 The Blue Chip Casino II project began in January 2005 but the coating system did not begin until around April 1, 2005. 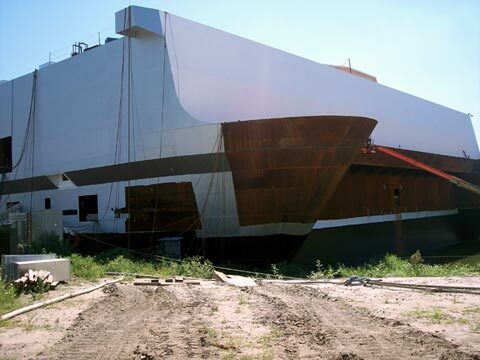 This is the first and largest Casino Boat built in the world. 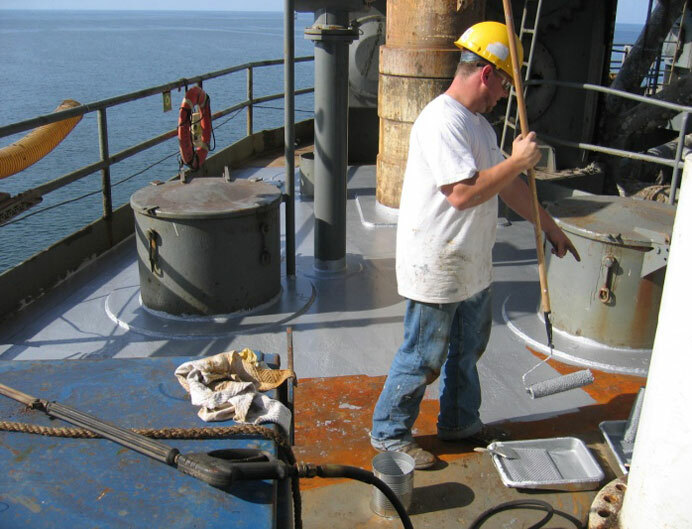 All corrosion protection and insulation protection is performed by Superior International II, Inc. coatings. 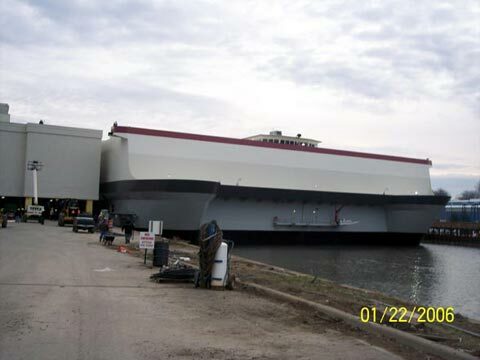 The boat is approximately 200' x 400' and has four decks. Opened January 31, 2006. 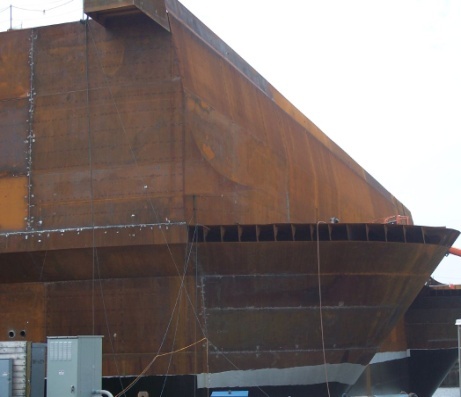 The metal was produced, shipped to the midwest to be laser cut and then shipped to Michigan City, Indiana to construct the boat. 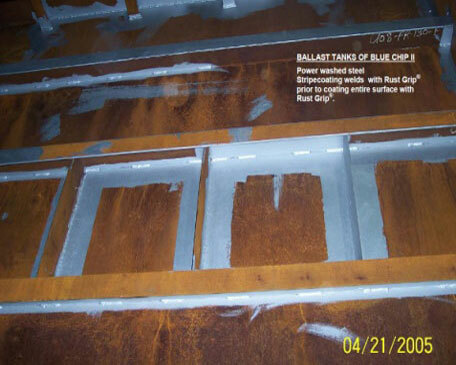 When the metal arrived to be welded, it was rusted but only required a power washing to clean it and be allowed to dry completely before coating with RUST GRIP ®. 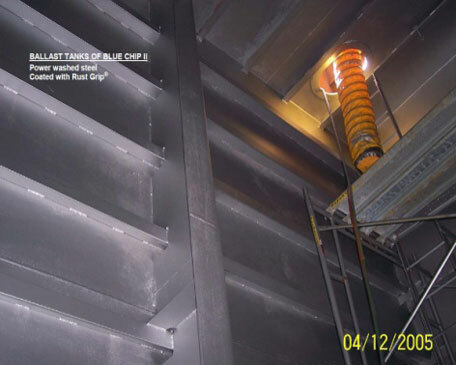 Top coat - MOIST METAL GRIP ® additional corrosion control. Detailing - ENAMO GRIP ® stripes in colour. 1. No white sandblast required before coating the metal after welding. This alone saved over 2 million dollars ( $2,000,000.00 USD ). Just power washed to remove dirt and residue. Completely dry then coat. 2. 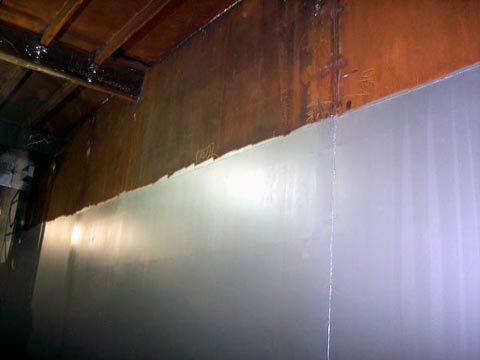 Fiberglass had always allowed condensation to develop and cause corrosion ( CUI ) and wet metal skin. 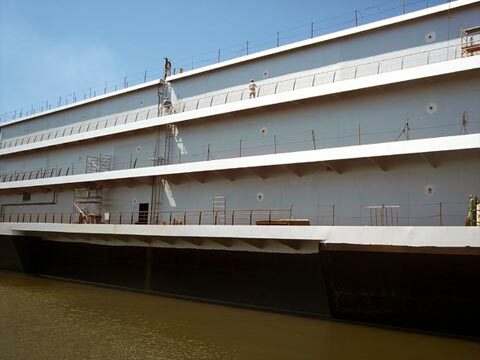 So much water flowed down the sides that catch rails were installed to catch the water running down the interior side of the ship metal skin during winter. SUPERTHERM ® completely eliminated this problem and no condensation has ever developed during the winter months after the HVAC system was installed and operating properly. 3. 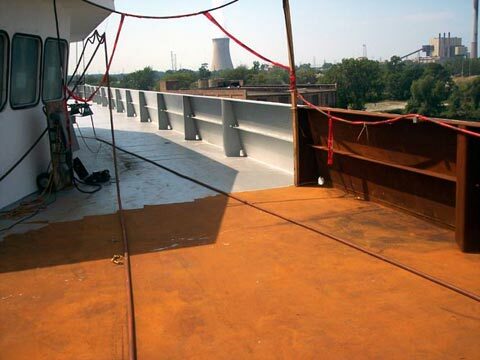 SUPERTHERM ® eliminates THERMAL BRIDGING by providing full insulation over all the metal skin, including the cross beams, support arms, railings, etc. This provides a 100% coverage over all the metal attaching to the exterior cold side. 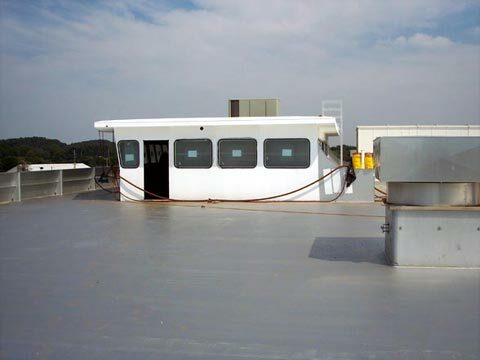 Reports from maintenance manager are that the boat is using less fuel to heat the boat than was estimated when the consumption rate was set up for fiberglass. 4. 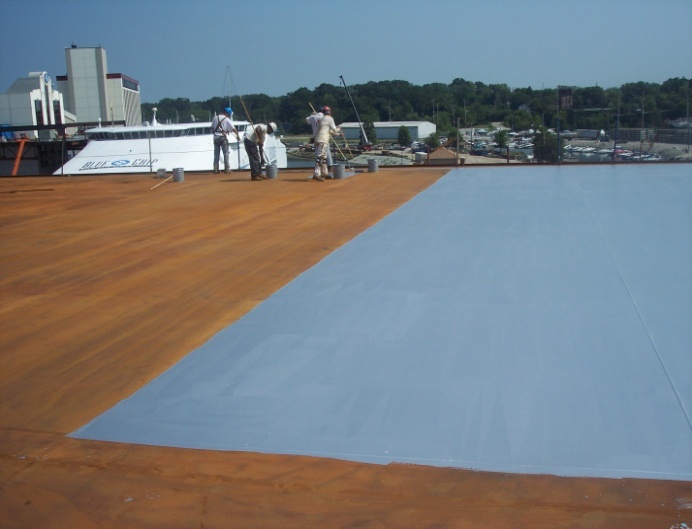 SUPERTHERM ® is coated on exterior side to prevent the metal during summer months from heating. SUPERTHERM ® blocks heat load into the metal which is the most important insulation effect that can be achieved. 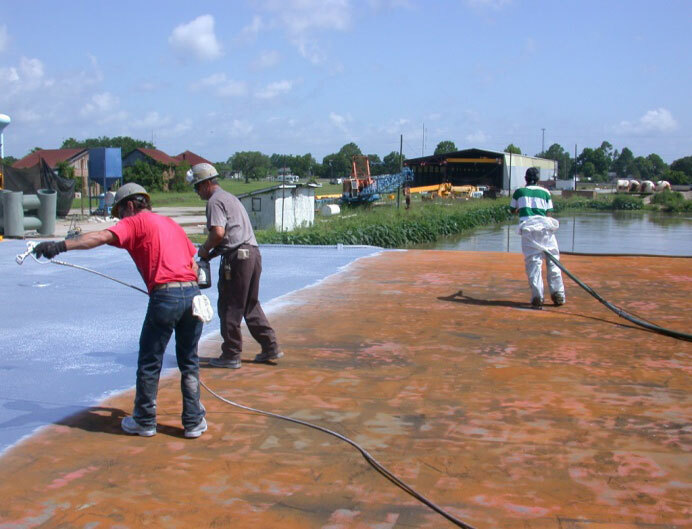 Fiberglass, foams and other such materials allow 100% of the heat load to happen, then these materials try to retard or slow down the heat flow to the interior or exterior. These materials are outdated 20th century insulation materials because they allow heat load. 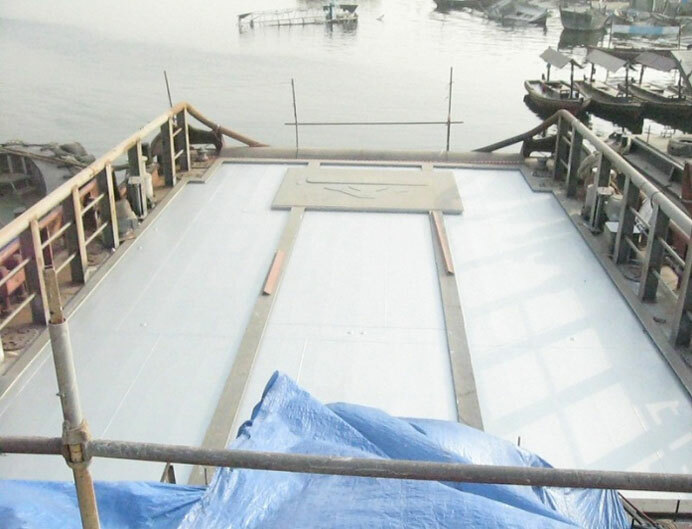 SUPERTHERM ® is the 21st century insulation material that blocks the heat load from happening into the surface of the substrate. If the surface cannot load heat, there is no heat to transfer through. Instead of having an "R" rating which allows for full heat load, SUPERTHERM ® measures "emissivity" (0.05) which equals absorption of heat. The lower the emissivity, the lower the heat absorption. At the same time, a measurement of how fast the surface heat is thrown off is measured by emissivity which SUPERTHERM ® tested to 0.90 with 1.0 being the best to throw off any heat that is loaded into the surface. 5. SUPERTHERM ® blocks Infrared radiation to 99.5% in testing. Sunlight: 57% of all heat comes from infrared radiation. Mechanical heat: produces infrared radiation to heat the interior during winter. SUPERTHERM ® repels this infrared to hold the warm heat inside. Both Exterior (summer) and Interior (winter) temperature controls are maintained by using SUPERTHERM ®. Project Pictures courtesy of Superior International II, Inc. coatings.